A sweet dessert easy to prepare, perfect to surprise your friends during spring picnics. Pre-heat the oven at 180°, so that at the end of the preparation it will have reached the right temperature. Put two eggs in a bowl and beat them with sugar. After an energetic stir, add the milk and the melted butter in a bain-marie or in a small saucepan. Proceed adding the flour, the vanillin and the yeast. Stir all the ingredients together vigorously. After obtaining an homogeneous and creamy dough, divide it into two equal parts. Add the unsweetened cocoa powder to one and stir. Now, alternating the doughs, create the plumcake with the decoration you like best. If at the end some dough is left, you can create some mini plumcakes with smaller molds, for example Ecos 110,5 x 45,5 H 20 TG baking mold. 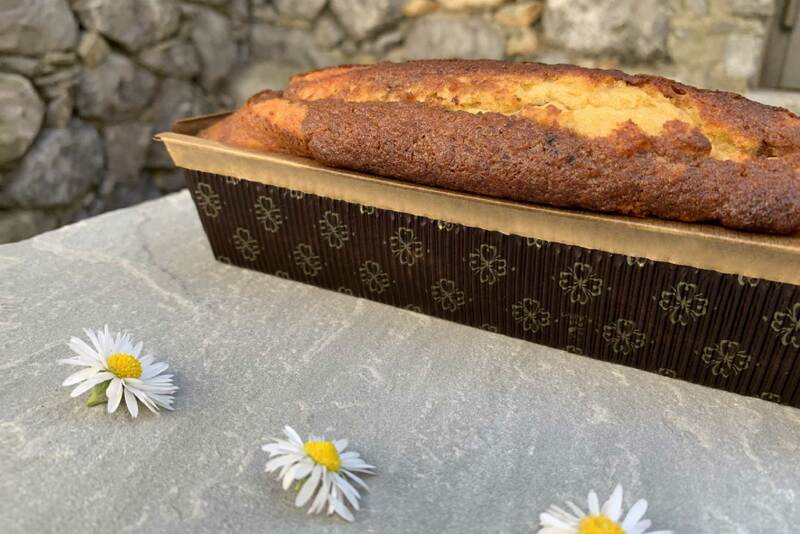 he PM 200 single-dose baking mold is made in microwave paper with inner walls of ecru color formed by a layer of paper resistant to food fats, freezing and baking in the oven. 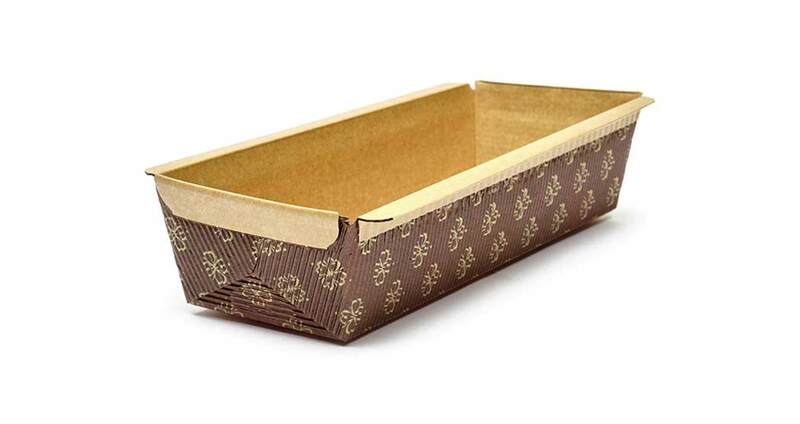 It is a recyclable baking mold with a self-supporting structure which does not require preformed metal molds. Thanks to the elegant design, the finished product is suitable for presentation.